Though Weezer has been in limbo for the past couple of years, the band members get back to their roots with their new album Everything Will Be Alright In The End. This album is also the first time since 2001 that the band has worked with Ric Ocasek as a producer. Ocasek is known for helping Weezer get their start with the critically acclaimed Blue Album. 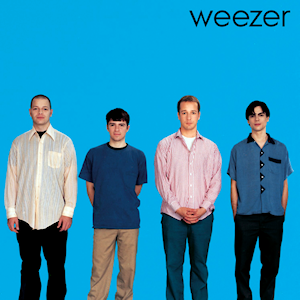 Weezer’s “Blue Album” was originally released in 1994 and jumpstarted the band’s career. Weezer’s new album “Everything Will Be Alright in the End” plays to the band’s original musical style. The first single “Back To Shack” provides all of the ingredients for a classic Weezer song, including powerful guitar riffs and a catchy hook. The second single “Cleopatra” starts off as a very light song, but it soon becomes heavier with the change from acoustic to electric guitar over the course of the song. Other tracks that are worth listening to include “DaVinci” and “The British Are Coming” because they go along the same path of that classic Weezer sound. The album provides fans with a traditional-sounding pop/rock album, which is something that Weezer fans have been waiting for since Hurley came out in 2010. The album is definitely something that older fans will enjoy while also giving the younger generation a chance to hear the vintage Weezer sound.